It is hard to imagine that this year marks the 8th year that ADE, Association for Development through Education, began. For those of you who don't know me, my name is Angela Anthony and I am the International Coordinator for ADE stationed here in Costa Rica. I have the privilege to work alongside Tomás Dozier (Community Coordinator), Chelsea Dozier (Education Coordinator), and Emily Price (Project Coordinator/Instructor) as well as other active local and international board members within the organization. Tomás and Chelsea Dozier are the founders of ADE, reacting to a call that God put on their heart to move to Costa Rica after the earthquake in Vara Blanca in 2009. Believing fully in the provision of God and the inherent ability of the local community to be masters of their own fate and growth, the Dozier's set out on a model of going to serve without raising support. It started as a radical and yet, simple instruction to go. ADE has followed as best as we could Jesus' instructions in Matthew 10 (also in Mark 6, Luke 9, Luke 10, Acts 20:33-35, 1 Thess 2:9, 2 Thess 3:7-9, among others) to go with nothing rather being solely dependent on local resources, community relationships and God's provision. The team here at ADE believes that this model is transparent to the themes that Jesus preached to go with nothing. Easily applicable in communities around the world (regardless of affluent wealth), this model would allow for more power to be given back to the Eastern and Southern world and thus help to relieve the White-Savior complex from the North. This viable method can empower the majority Christian population living in the developing world, as well as the developed world, to participate in missions and community development for the benefit of the local church. Since January, ADE has added two additional staff members (one including myself) to join, practice and share in this model. 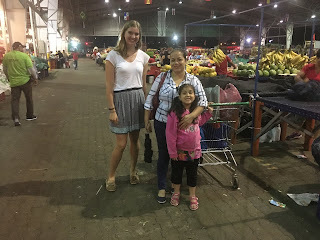 Both Emily and I have come to Costa Rica embarking on this model of going with nothing, trusting on the resources of the community, and the provision of God. Additionally, we have the incredible privilege of living with gracious host families who have taken us in as one of their own, loving and accepting us as brothers and sisters in Christ. Following Matthew 10, Tomas and Chelsea "knocked" on their doors asking if they would receive us as Jesus commands his disciples to go to the lost sheep of Israel and look for a worthy house to stay. They so graciously took us in and it has been such a fantastic blessing/learning experience thus far. It is amazing how God’s plan is so much better, intricate, and beautiful than anything we could ever imagine on our own. I am originally from a rural community in Cecil County Maryland. But I ended up attending Eastern University near Philadelphia receiving both my undergraduate and graduate degrees from there. I graduated with a Bachelor's of Arts in Political Science and just recently with my Master's of Art's in International Development. It is through my connections at Eastern through my M.A. cohort that I heard about ADE as Tomas is a graduate from the same program. A long story, a lot of faith and prayers later, I found myself in Costa Rica, reaching out to Emily and asking her to join. However that is a story (and blog post) for another time! We are so incredibly thankful to have Emily as the new Project Coordinator here at ADE as well as a English Language Instructor for the local church Vida Nueva. She is a graduate from Messiah College near Harrisburg, P.A with a Bachelor's of Art's in Cross Cultural Missions and a minor in TESOL. Emily is from a little yet growing town in Delaware called Middletown, which is about 10ish minutes from my rural town in Maryland. Emily and I have actually been friends for years before finding each other again in Costa Rica. We are so thankful for community that reaches across all borders. God is good! Over the years ADE has continued to grow and change in response to the needs of the local community. ADE has hosted over 30 interns, 11 full time staff, and over 500 students who have been exposed to our unique development and missions model that focuses on education, practicing asset-based community development and missions. 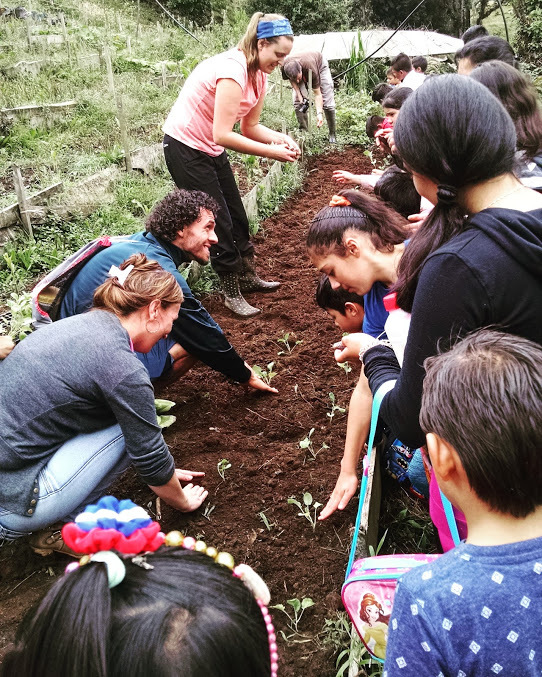 During this time, ADE has been a part of a plethora of community initiatives and personal endeavors on our farm in San Rafael de Vara Blanca. "Six years thou shalt sow thy field, and six years thou shalt prune thy vineyard, and gather in the fruit thereof; But in the seventh year shall be a sabbath of rest unto the land, a sabbath for the LORD: thou shalt neither sow thy field, nor prune thy vineyard". They spent the year of 2016 restoring, refocusing, and redirecting their paths in order to prepare for this new season. In 2017 (ADE’s 8th year), ADE welcomed two new staff members (Emily and myself) and we have been working diligently alongside Tomas and Chelsea to listen to God's call and redirect our steps. In this most recent season, Emily has been teaching students of all ages at our local church in Alajuela. At the moment, she has 5 classes for children, adult beginners and intermediate and is looking to add more classes soon. Tomas and I have spent over two months of this year hosting educational and church groups from all around the United States at our home, Shalom, in the Cloud Rainforest. With the groups we explored different problems and models of community development, learned about sustainable agricultural methods, studied Scripture, and immersed ourselves in the beauty of Costa Rican culture and people. While every group had a particular focus, Tomas and I have enjoyed hosting and growing alongside all the students as we learn and study together. In a effort to serve more groups in the future, we have been working on local farm initiatives, such as operating a small-scale chicken co-op, raising a herd of sheep, revitalizing our bio-digester, and improving our properties. We are praying that in the coming year God will continue bringing down students and giving us opportunities to share how God is working in our community. In fact, we are currently reaching out to more students, church groups and individuals who would partner with us in our vision to build the Missions Training Center(MTC)/Center for Creation Care and Sustainability (CCCS). Our focus right now is to develop the MTC/ CCCS in Vara Blanca, Costa Rica that would serve as a place to host educational groups and those called to the mission field. Once the center is built, we will be able to host anybody called to the mission field free of charge. Together, we will pray, study scripture, wrestle with functioning models and best practices, and create a plan for insertion wherever the Lord is calling them to go and serve. Emily has taken on the role as Project Coordinator for this project, and along with Tomas and I, we are planning, praying, and seeking the Lord’s wisdom as we set out to organize and build this center with God’s direction and the help of our brothers and sisters around the world. We are excited to share His testimony and model of responding to His call, so that ALL believers despite their access to economic resources can go and fulfill the Great Commission. We envision brothers and sisters in the Faith from ALL continents coming to Costa Rica to be trained here in this self-sustainable mission and development model. May the Lord use us for His Kingdom as ADE enters this new season of growth. Don’t worry, we will keep you all updated on the progress!! !